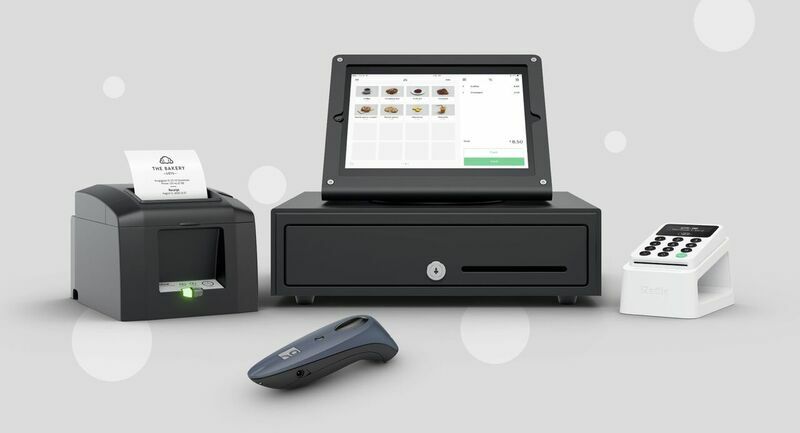 We support various receipt printers, cash drawers and barcode scanners that you can use when accepting payments with iZettle. A sleek and practical stand which charges your battery while securely attaching your iZettle Reader 2 to your till. 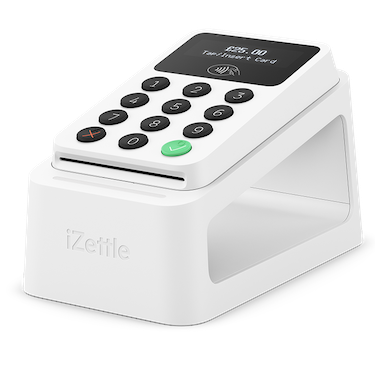 Please note, the iZettle Dock 2 is only compatible with the iZettle Reader 2. We have stationary printers, which are perfect for your store, as well as portable printers, which you can take with you on the go. The printers are either connected via cable to your router and then wirelessly to your smartphone or tablet, or via Bluetooth to your smartphone or tablet. Please note that some printers are only supported on iOS. You can also print receipts using any printer with support for AirPrint if you have an iPhone or iPad. Read more about AirPrint here. Star mPop (only iOS): A stationary receipt printer and cash drawer. Connects via Bluetooth to your smartphone or tablet. Follow the instructions that come with your printer in order to connect it to your smartphone/tablet. Open the iZettle Go app. Go to “Settings” > “Accessories” and select your printer. To ensure that the receipt printer is connected to your smartphone/tablet, you can print a test receipt in the printer settings in the iZettle Go app. We support cash drawers with the standard plug 24V and RJ-11. If your products have barcodes you can add the codes (by scanning them) to your product library and then scan them in order for it to be added to the shopping cart. Only available on iOS. Socket mobile 7Ci (only iOS): portable and connects via Bluetooth. Turn on your Socket mobile 7Ci. Connect the scanner via Bluetooth to your smartphone or tablet. Open the iZettle Go app, an image will appear when the scanner is connected. What is the iZettle barcode scanner? Your iZettle app comes with a built-in barcode scanner. All you need to use it is the camera on your smartphone or tablet. How do I register my products’ barcodes using the barcode scanner? You can only use your rear-facing camera to scan barcodes. Click on ‘edit’ and then ‘product detail’. Tap the barcode scanner icon next to the barcode field. Allow iZettle access to your camera. If you accidentally deny access, you can grant it again by going to your device settings – iZettle app – camera. Once a barcode scanner window pops up, focus your camera on the product, making sure the product’s barcode is in the frame. Your camera will automatically scan the barcode. Once the barcode has been scanned, its information will automatically be added to your product details, all you need to do is give it a name and add the price. How do I sell a product using my barcode scanner? Go to your product library. If you’re viewing your product library in list view (not gallery view), you’ll see the barcode scanner icon at the top of the page. Tap the barcode scanner icon. Your camera will automatically scan the barcode and add the product to your shopping cart.